"Knock Knock was founded in 2002 by Jen Bilik with the mission of creating witty, design-driven gift products and books, along with anything else that might strike the Knock Knock fancy. Our products aspire to bring humor, function, organization, and aesthetics to everyday life. We believe that people are intelligent enough to appreciate wit, wordplay, and conceptual thought. Whether we’re producing sticky notes or a volume of thoroughly researched nonfiction, we strive not to dumb down as we create. Our sensibility remains proudly distinct." With the philosophy that humor makes everything better, Knock Knock has created FUN products with a function!. Knock Knock NotePads creative, and large enough to actually get some use out of! I hate those tiny notepads that I can only write a couple words on. I have the All Out Of notepad sitting in front of me. My 10 year old saw it and said, wow that is big!! You got it son, just like we need. 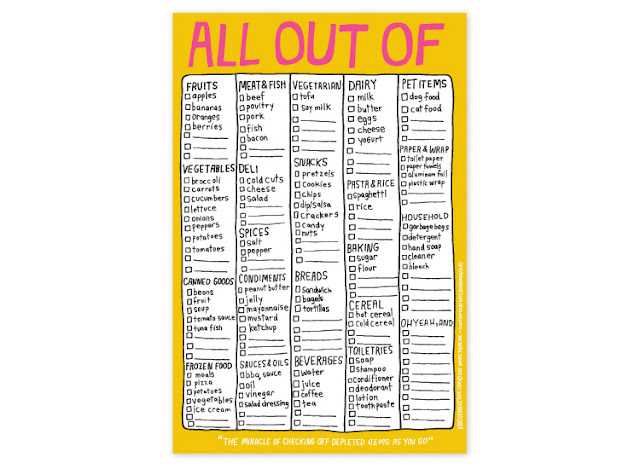 Easy to check off boxes for things we are out of rather than searching the house for paper to start a list and try not to loose it. Super beneficial for families! Other notepad titles that caught my fancy! 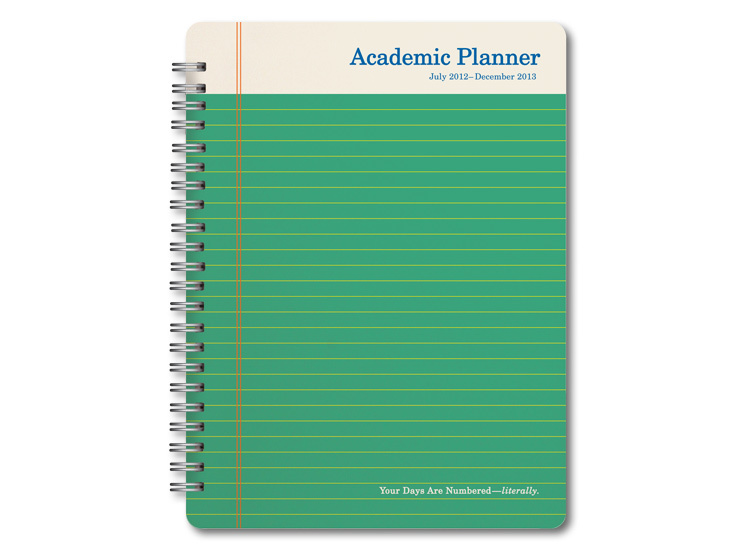 Perfect for the scholar as he/she heads back to school. Great for Mom to use to help figure out everyone's coming and going as the new year kicks in! 18 month planner. Knock Knock has great gift ideas!! Funny books, and assessors to fit your witty and humorous friends! Life is short, get out there and laugh a little!! I am tired of downloading everything off the internet! I love cute notebooks, notecards, sticky notes. I don't want to always be printing my own out! Knock Knock will take care of that for you! Functional, and FUN.. that is what Knock Knock is offering my readers!! They have a summer shipping special right now with free shipping with $35 purchase. Knock Knock is a sponsor in the Back to School Giveaway Beginning Aug 1!! Be sure to stop back to win!! I received products from Knock Knock in exchange for an honest review. Their stuff looks great. I really like the I Can't Sleep Journal. I love all their planners and note pads, they hold absolutely all the information you could but they're still cute and fun! such great idea and will be a big help...love the all out of pad! 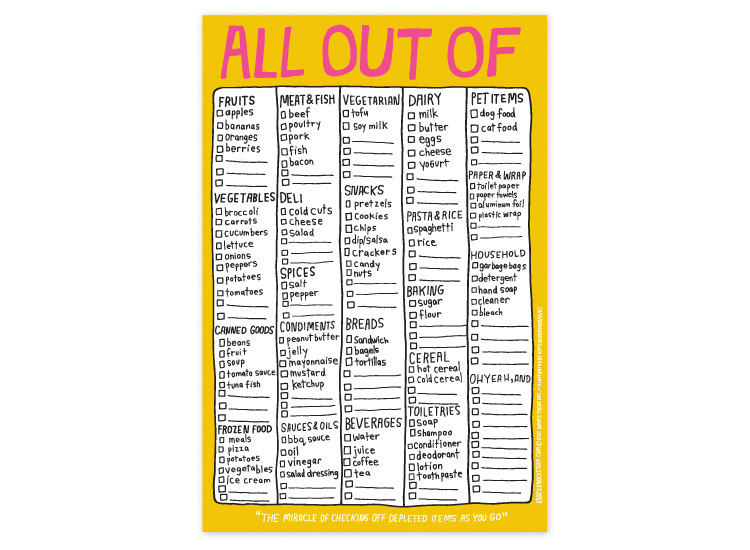 There are so many great forms to keep you organized at knock Knock. I like the one for babysitter notes. I really like the All Out Of pad - great Idea just to checkmark. Also like the Pack This! pad, with the kids going everywhere all the time, this would be great for going and coming home to make sure you had everything.